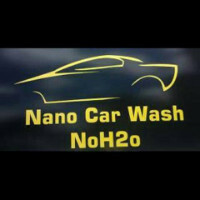 Im a Fan of Nano Car Wash FL... Are you? Fill in the below form and you can recommend ‘Nano Car Wash FL’ to a friend or family member via a text message. Show your support with a quick share of ‘Nano Car Wash FL’. These guys are great! Best detailing and repair services in Broward county. They are small business but sometimes that’s better cus we see the same person Everytime they service our vehicle. Great guys and do great work! They are on time, courteous and work around your schedule. Very convenient, easy on the budget and the employees are trustworthy, hard-working and do a thorough detail plus other maintenance. Glad I found their services, you will be too. I know the one owner Steve personally, and he is an amazing person. He always goes above and beyond to make sure you are happy and satisfied. He has a heart of gold, And has always been a hard worker. If you want to get your car back to looking brand new, this is where to take it. Great service in a friendly environment. Awesome place. Wouldn’t go anywhere else!! My Partner and I own and run Nano Carwash and strive to make our customers happy. But also have a friendly and respectful auto service where you can relax and hold a conversation or sit back and do whatever you need to do while we service your vehicle. We literally can come to you anywhere Even while you at a DR app or hair/nail salon. Our environmentally friendly products allow us to come to you literally ANYWHERE without effecting other cars or our environment. We are honest and respectful guys and will do anything to help someone out. For the most relaxing experience possible Nano Carwash is your best auto service company with great deals every week!